Well here it is! 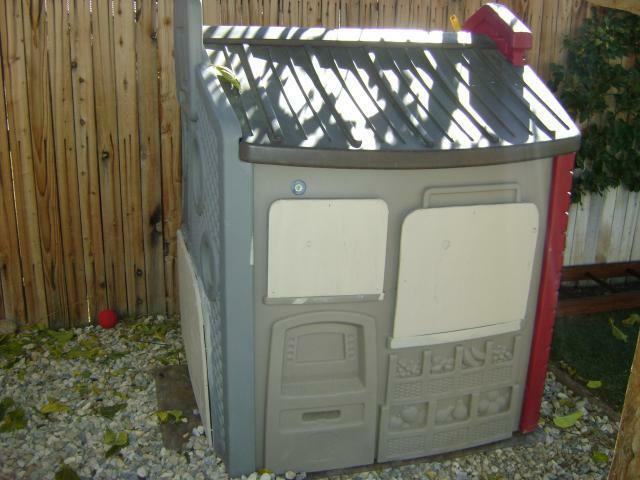 I had originally planned to turn the kid's wood playhouse that was attached to their swingset into our first real coop. 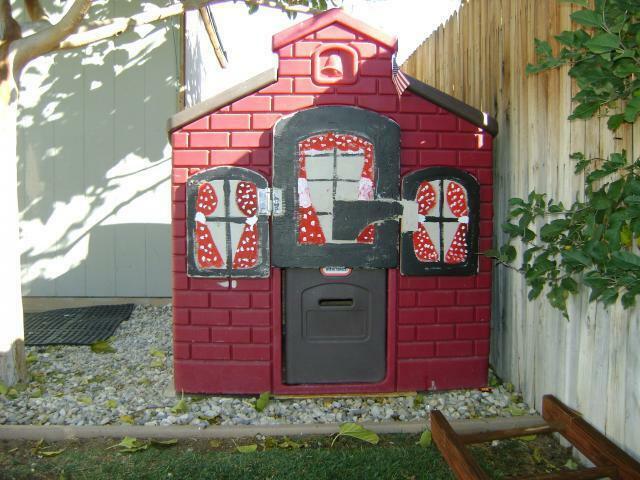 But my husband thought we should just use our boy's old playhouse that they outgrew long ago; and we were ready to yard sale. So very simple yet it is luxurious enough to shield them from the cool night air, and predator proof. It is pretty well insulated already, and we believe it to be waterproof. So far it is working out famously. They have their food and water hanging inside; and to top it off they have ambiant lighting! Christmas lights are placed inside of a steel bucket and hanging from the inside part of the roof. We have the extension cord running under the rocks, and they have nice "candlelight". As far as dimensions, etc. It's all by eye! 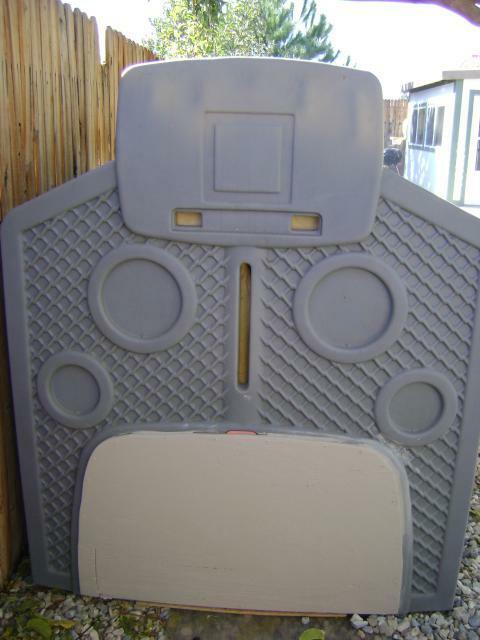 We had all kinds of plywood and boards that we recycled to work with. Hubby is a Landscape Contractor so he can usually get goodies from jobs. We put these treasures to good use that would otherwise be trashed. We just got the power equipment out (saw, drill, etc.) and starting measuring and cutting. All the wood pieces attached to the outer and inner parts were installed with drywall screws. 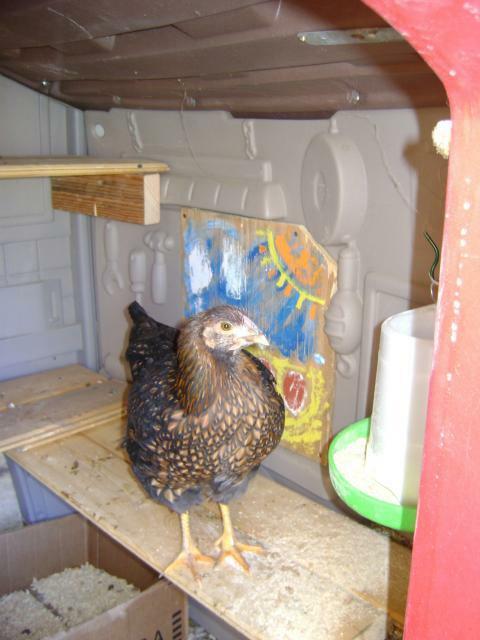 Inside we made 3 stories with wood planks and they have plenty of perching places. Eventually as they get closer to egg laying we will modify one of the permanent windows to a door that we can open to access the nesting boxes. 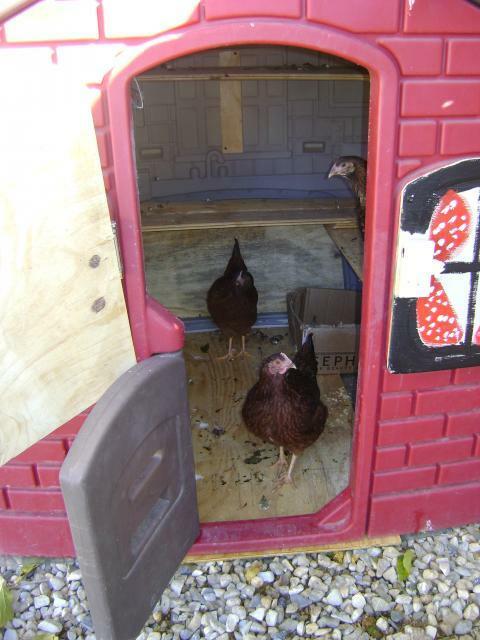 I feel very blessed we were able to make a great home for our growing chicken family without having to spend 1000's on a fancy coop. 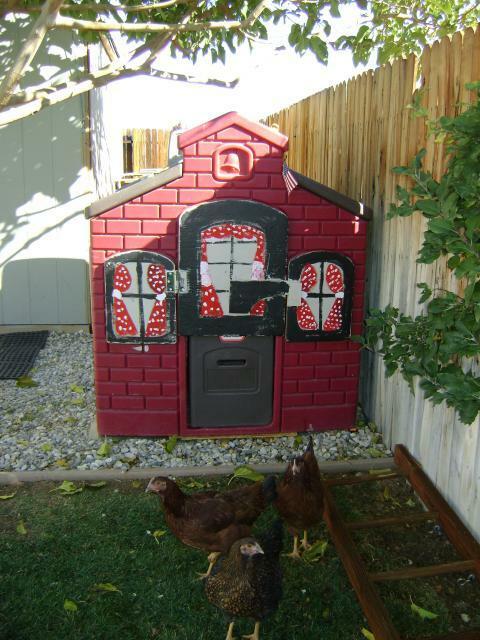 "Would love more pics and details"
This is a hilariously unique way to house chickens! Good work! 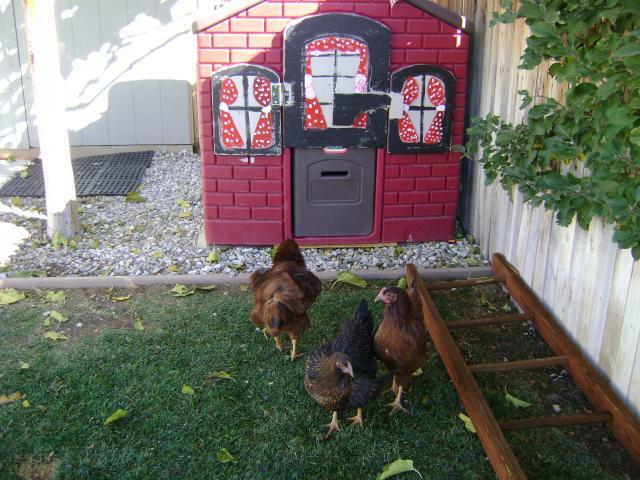 Good pictures and explanation of how to turn a playhouse into a coop. Looks like the hens free range; there isn't a mention of a run?